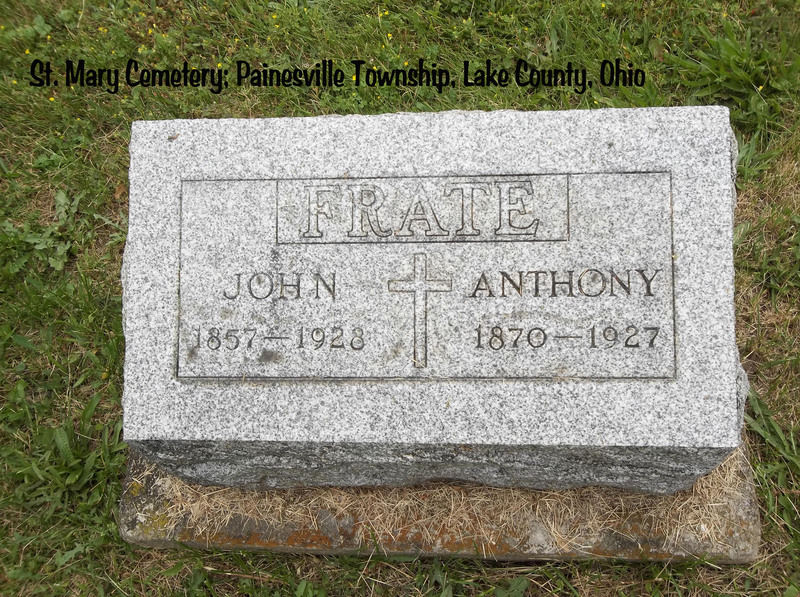 Giovanni Frate first appears at Painesville, Lake County, Ohio, in 1921. 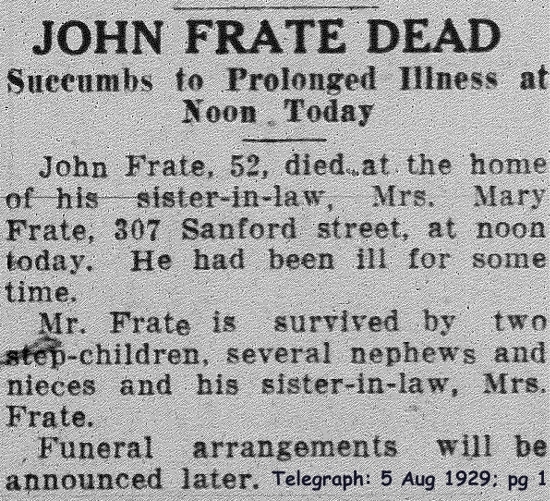 In America Giovanni Frate was known as John Frate. Giovanni Frate, son of Teodoro Frate and Gaeglbelmina DeFranco, was born on Sunday, July 1, 1877, at Rionero Sannitico, Italy. Giovanni died on August 5, 1929, at his sister-in-law‘s home, 307 Sanford Street, Painesville, Lake County, Ohio, at age 52, due to pernicious anemia. His body was interred at St. Mary Cemetery at Painesville Township, Lake County, Ohio. Giovanni Frate first immigrated to the United States in the 1890’s. He was enumerated for the 1900 Census of the United States, on June 9, 1900, living at Woodland Hills Avenue, Cleveland, Cuyahoga County, Ohio, in the household of his brother, Antonio Frate.